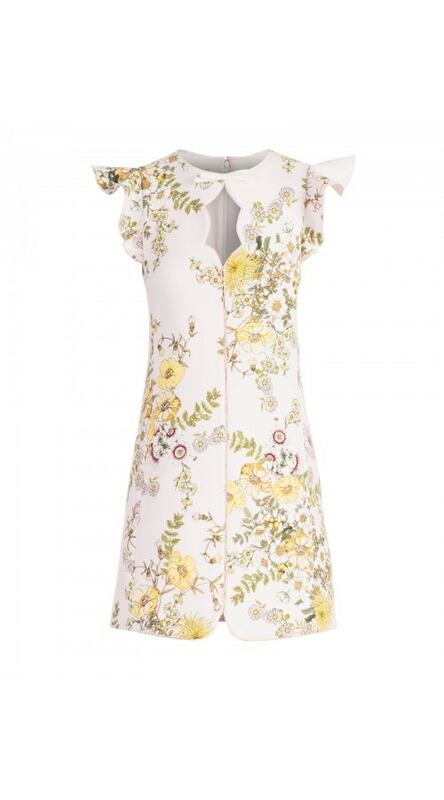 Featuring a shift silhouette and puff sleeves this mini dress is made to steal the show. 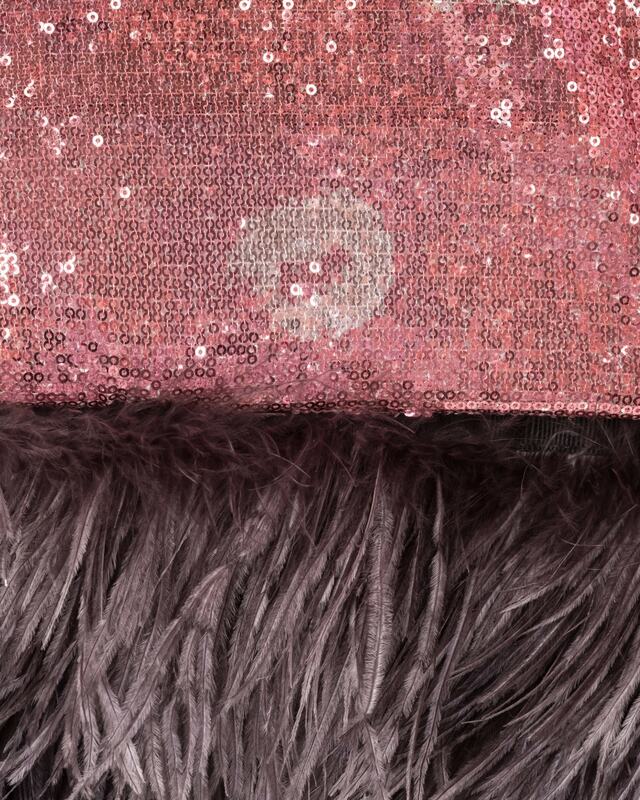 A charcoal ostrich feather trim sits along the hem, contrasting the unique pink patterned sequin fabric. 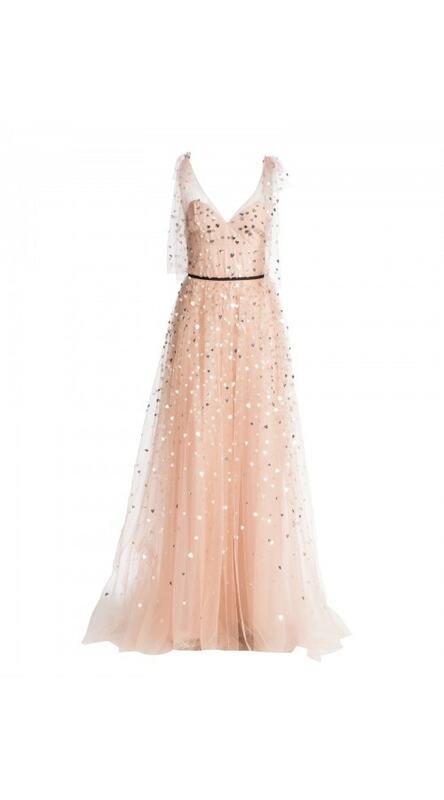 All over sequins. Detachable feather trim. Round neck. Button closure at back.